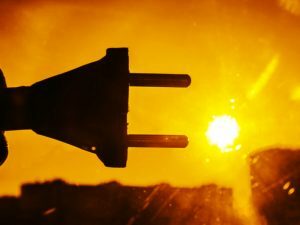 CrossBoundary Energy Access is investing an initial $16 million of capital to finance about 190 solar minigrids, each with a capacity of 6 kW-1 MW, across Sub-Saharan Africa. All told, the minigrids will bring electricity to nearly 34,000 off-grid, rural households and businesses — about 70,000 people who now lack energy access, according to The Rockefeller Foundation, which provided $5 million in mezzanine debt financing to help launch the fund. 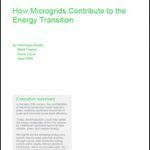 “The minigrid development fund will primarily be investing in solar-powered minigrid systems with a view towards enabling productive use and rural household electrification,” Matthew Herrick, The Rockefeller Foundation’s managing director of communications, told Microgrid Knowledge. The fund will focus initially on Tanzania and Zambia, in light of their strong network of developers and favorable regulatory and macroeconomic environments, he added. The CrossBoundary Energy Access Fund’s roots stretch back to the launch of the Mini-Grid Innovation Lab in partnership with The Rockefeller Foundation last May. The lab has since developed seven prototypes to test the minigrid investment model, the goal being to catalyze investment and deployment of solar minigrids that can stimulate productive, downstream use and sustainable development. “These innovations include bundling Wi-Fi with electricity, subsidizing the tariff charged to customers to compete with the main grid, selling productive use and other appliances alongside electricity, and building the minigrids’ distribution network beyond the initial set of customers,” Herrick said. Prototype minigrids are now live at more than 30 sites in Kenya, Nigeria and Tanzania, and the lab recently began working with developers in Zambia, bringing the lab’s reach to 17 developers in four countries. A lack of debt and commercial bank financing is hampering distributed renewable energy minigrid and microgrid systems in Sub-Saharan Africa despite rapid expansion of systems like mobile pay-go. Given their small balance sheets, minigrids have so far struggled to raise the kind of financing they need — long-term, affordable capital from funders that accept lower yield returns. The Rockefeller Foundation’s investment provides the patient, long-term capital that’s required to demonstrate the attractiveness of the minigrid model, both to investors and to governments, Herrick explained. “We believe that CrossBoundary Energy Access has potential to prove the minigrid model not only as a potential commercial opportunity, but also as a more affordable and reliable source of power that African governments can stand behind,” he said. The Rockefeller Foundation, through its Smart Power program, is working to end energy poverty by forging public-private partnerships that help local residents and businesses put environmentally friendly electricity to productive use across developing and lesser developed areas of the world. The foundation found that the CrossBoundary team’s goals align with the Smart Power program in Africa. Furthermore, the foundation is highly confident in CrossBoundary’s ability to execute and realize those goals, Herrick said. Since it was founded in 2011, CrossBoundary’s advisory team has advised on deals totaling over $500 million in Africa, Herrick pointed out. In 2015, CrossBoundary launched CrossBoundary Energy to invest in commercial and industrial (C&I) solar in Africa. More than 600 million people lack access to electricity in Sub-Saharan Africa. CrossBoundary estimates that solar minigrids offer the most cost-effective means of providing energy access to at least 100 million at a capital cost of about $11 billion. The work CrossBoundary, The Rockefeller Foundation, their partners and investors have done to date pales in comparison, but it’s a solid, initial step towards that end. And looking ahead, CrossBoundary Energy Access is aiming to expand across Africa, into countries such as Nigeria, Sierra Leone and Benin, as its capital base grows, Herrick pointed out. Ceniarth and the Shell Foundation participated in the CrossBoundary Energy Access fund’s development and launch. I was thinking the same thing… or maybe 6-10 MWs total? Thanks for flagging this. The correction has been made. The figure is 6 kW-1 MW.